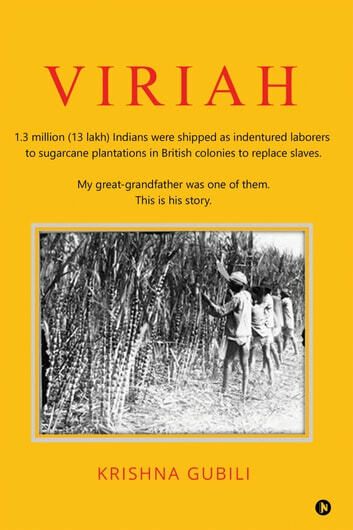 1.3 million (13 lakh) Indians were shipped as indentured laborers to sugarcane plantations in British colonies to replace slaves.My great-grandfather was one of them.This is his story. Slavery was abolished in the British empire in 1835. The demand for sugar was exploding with people consuming increasing amounts of sugar in chooclates, tea and sweets. To fuel the growing first-world sugar industry of the late 1800s, 1.3 million Indians were shipped to labor on sugarcane plantations in Mauritius, South Africa, Caribbean, Fiji and Reunion. The indenture system was not too different from slavery. Coolies labored from dawn to dusk, day after day, year after year in inhuman working and living conditions. This book is about the search for my great grandfather and the story of Indian Indenture.